The season of goodwill and holiday cheer shall soon be upon us. Winter can be a time for family and friendship, but it also brings about its own bundle of troubles once the snow begins to fall. Here are some ideas to get your house up to code for the colder months, so you can enjoy the holidays in peace and comfort! With increased snowfall, your home will soon be covered in a thick layer of frozen water. Your gutters better be up to the task! 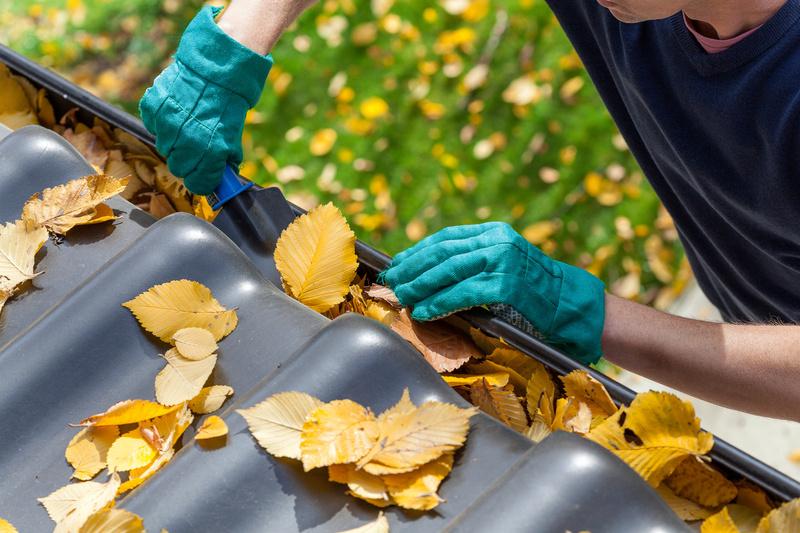 Cluttered gutters can lead to problems like leaky roofs, or ice buildup around your house. Rolling up your sleeves and cleaning them off now can save you a ton of headache in the long term. Check out this article here for information on how you can keep your gutters from getting clogged in the first place. During winter, nothing makes the inside of your home cozier or more homely than the heat of burning firewood touching your cold hands after a day in the snow. However, if you spent last winter doing this exact thing, it’s safe to say that it might be time to clean your chimney. 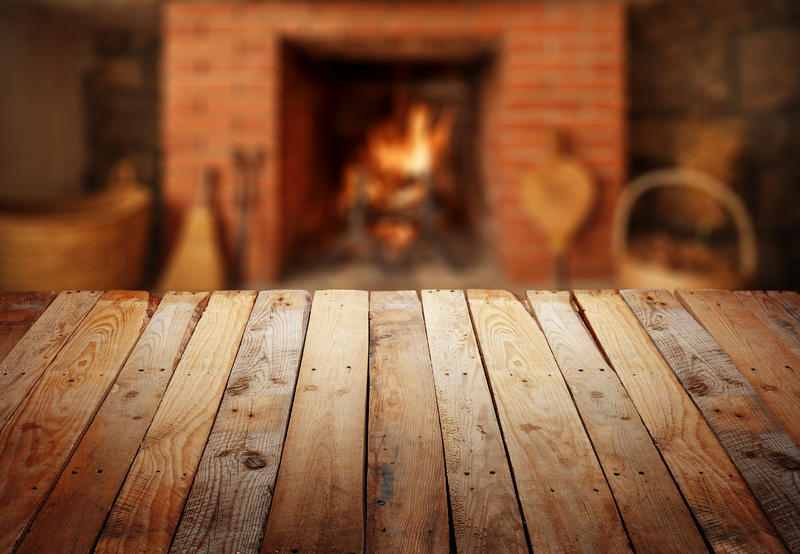 One of the leading causes of house fires in wintertime is caused by creosote buildup in the chimney over time and use. Having a clean chimney also gives you the most heat, while cutting down the smoke that stays in your house. If you’re not afraid of a little soot, it might be time to make like Santa Claus and head down the chimney! Water buildup inside of hoses and faucets outside will cause damage to these items. In some cases, the frozen water can even build up inside until a pipe bursts on the inside of your, causing tremendous water damage. To save you repair and replacement costs in the future, all you need to do is turn the valves for your outdoor faucets off, and then drain any remaining water. If, for some reason, you still need functional outdoor faucets during winter, it may be wise to purchase insulated covers for them to prevent freezing. Getting the heat in your home in working order is especially important in wintertime, where you will be needing refuge from the colder elements. A proper inspection may be best left to an HVACR professional, but there are some precautions you can take yourself. Before winter begins, change the filter in your furnace, and make sure the furnace isn’t cluttered, but clean and functional. Checking your air ducts for leaks to be repaired can also make your heating system give you the most bang for its buck. During winter, we experience less daylight hours, despite still having plenty of outdoor activities to do! This means that outdoor light sources will be on a lot more than you may be used to. Getting energy efficient bulbs for the outdoors will give you more light for longer, and save you money in energy bills that will already go higher around the holiday season. 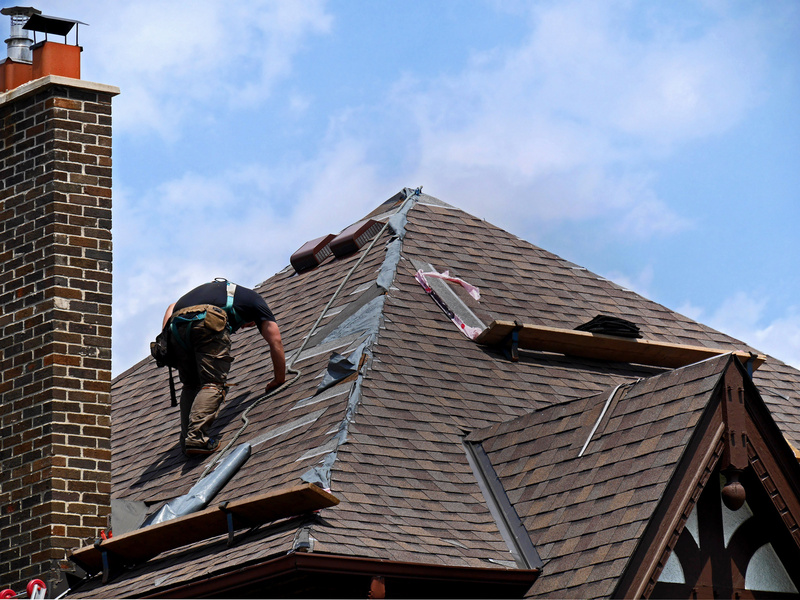 The winter season can be rough on your house’s roofing. Water damage and buildups of moisture can cause leaks that will rain down inside your home. Prevent this now by getting up there and inspecting it for yourself. Getting a professional opinion may not be such a bad idea, either. Also be sure to sweep off any leaves on your roof, as they may have moisture in them that will freeze and expand once it is covered in a mountain of snow. Those tiny cracks in your driveway may look small, now, but after months of being subjected to brutal environmental conditions and a repeating freeze-thaw cycle you may find your concrete in shambles once the flowers blossom for spring. The good news is that most of those smaller cracks can be cheaply and easily repaired right now, but once the winter damage takes hold you may have to start replacing entire chunks of your driveway or sidewalk. Concrete patch tubes are relatively cheap, and can be found at your local department store. Leaky doors and windows could be costing you hundreds of dollars every year. Updating them will save your gas and electric bill from a little extra pressure. Using a caulking gun around windows and doors is a simple and easy-to-do way to make your home a little more prepared for the holiday season. Discovering that your sprinkling system has been destroyed is a poor way to start off the spring. Stop that from ever happening right now by making sure that your sprinkling system is safe for the winter months. Excess water that expands as it freezes will inevitably burst a pipe, so it is important to drain all water out of the system. Be sure to make sure that you shut it off from the water supply before you do! One of the greatest discomforts of winter is waiting for a frozen car to defrost, meanwhile you’re sitting, shivering, and wondering if you’ll be to work on time. This is a good reason to make sure that your garage is clean and organized before the first snowflake even falls. Building additional shelving can help clear up space and guarantee that you get a parking spot in your own home. And the hot water heater too! Yes – add that to the list! Thanks, but you won’t have to worry about this for a while! Lots of homes burn down every year from not having the chimney swept!! That used to always scare me, we haven’t used our fireplace in years. Thank you and have an awesome weekend. Glad they were of help to you. I can’t believe we are already talking about winter! I’m not ready!!! Me either! Enjoy this warmth of the weekend! Good tips! I really need to clean my garage, it is a MESS! You and me both, I put away the summer cushions and pool supplies but not properly! Enjoy the weekend.